Lecker and Yummy Recipes: Healthy Morsels - Pregnancy Roundup ! Healthy Morsels - Pregnancy Roundup ! 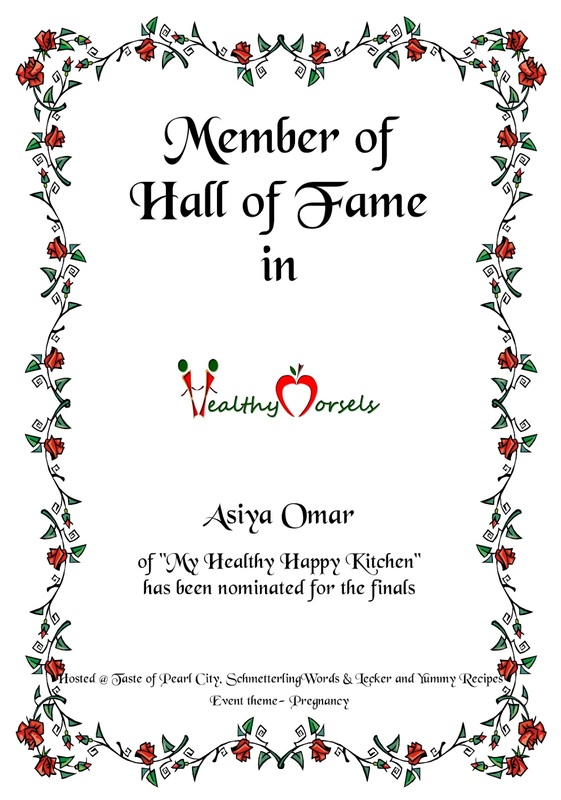 A BIG heartfelt thanks to everyone for your invaluable contributions to Healthy Morsels - Pregnancy. We are extremely happy about your overwhelming response, amazing tips, interesting facts about pregnancy and postpartum diet. We thank each and everyone for sending your recipes relevant to the theme and making it a grand success! As said, Healthy Morsels is an event with you all for us all ! We really felt connected and enjoyed your company during this entire sail. Now it's time for the most awaited round-up of Healthy Morsels-Pregnancy. 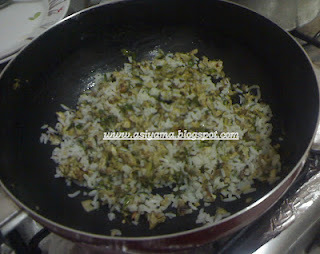 Our special thanks to the non-bloggers who have joined us with their mouthwatering recipes. "We have heard a million times that breakfast is the most important meal of the day. But not many of us have the time in the morning rush to prepare a good breakfast, sit down at the table and enjoy it. Here is a recipe that takes hardly any time, yet tasty and nutritious. 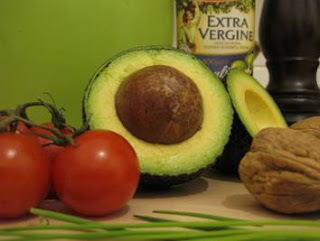 Cut the avocado into half and scoop the flesh out with a tablespoon. Mash it with the back of a spoon. Add the remaining ingredients and mix well. Spread on warm toast and enjoy. The buttery taste of avocado with crunchy walnuts and sweet cherry tomatoes makes it a tasty spread. 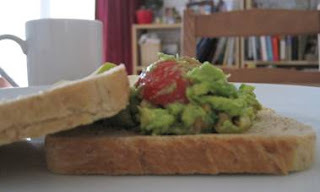 According to whfoods.org, avocado is a good source of folate and walnuts of omega-3 fats. This makes it an ideal breakfast or snack choice for expecting mothers and others alike." Boil the sprouted mung bean with veg stock till just done. Give a slight toss to mix all the ingredients. One of our facebook group members, Souha Kamand has sent a Syrian Tabouli Salad with parsley. 1. Wash the parsley well . 2. Chop the onion finely ,add ½ teaspoon salt and all spice rub onions with your fingertips ,set aside for 10 minutes, soak bulgur in lemon juice set aside until softened . 3. Meanwhile chop parsley very finely ,put in a deep bowl ,chop tomato finely, add to parsley add mint , the rest of salt ( keep some diced tomato for decorating ). 4. Squeeze chopped onion with your hand ,add squeezed onions to parsley, olive oil and bulgur , Stir to combine ,taste Tabouli add more salt and lemon juice if necessary . 5. 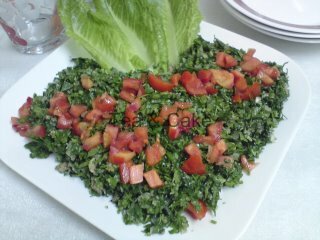 Put Tabouli in a serving dish decorate with tomato . Tip : Tabouli is best made as close to serving time as possible. Thank you Simi Ethiraj, Souha Kamand and Yasmin. Well now, lets take a look at the collection of our dainties in Healthy Morsels-Pregnancy.Your knowledge and wisdom are safely preserved here, here and here. Please take time to go through the blogs for foods advisable for increasing the milk supply, foods that strengthen the pelvic muscles and the backbone, veggies that help lowering blood pressure during pregnancy or traditional healthy treats for the new moms. They are just a few examples from many other interesting recipes we received. We would like to thank you all once again for your love and support, without which we definitely could not have achieved this success. Please accept our sincere and heartfelt thanks by collecting this badge. So working it out carefully, we came up with the following nominees for the finals, who are honored as a "Member of Hall of Fame" in our Honors Board page in all our three blogs and also in our Facebook group page. 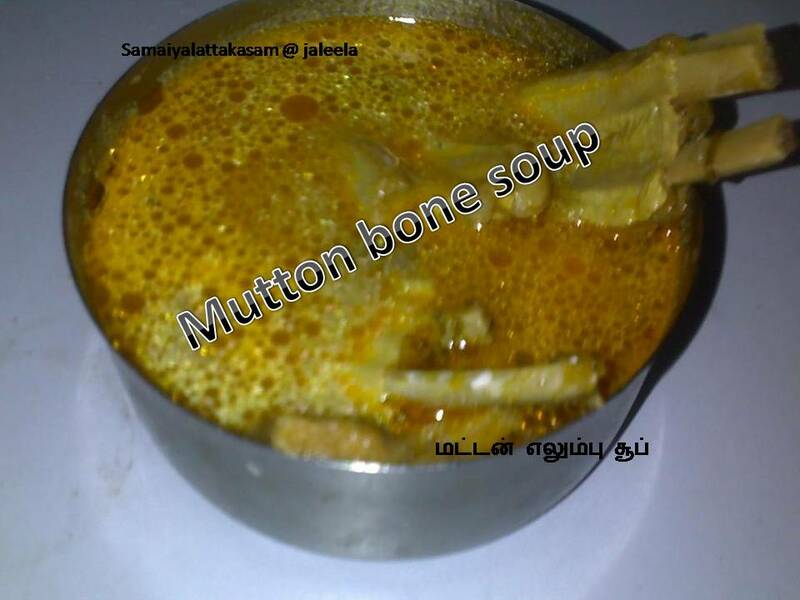 and Jaleela Kamal of "Samaiyal Attagaasangal" for sharing essential tips and recipes like Mutton Soup. Many many Congratulations Asiya, Archana and Jaleela !!!!!! Cant appreciate your efforts and your involvement more! Wow!Surprised to see my name. Thanks a lot for selecting me,Congrats to all participants.Really a Great Event. Is the badge for all participants? and to collect it should we copy the image file to our blog? As you can see I dont know the procedure. Great theme and round up by the by. Thanks a lot. 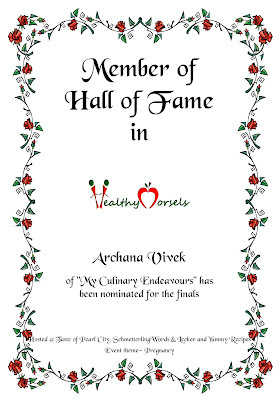 Thank you very much for selecting my name as a nominee. It was great to participate here. Congrats to all participants and winners.